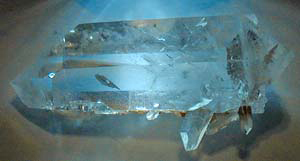 The Crystal of the Day for Saturday 5 October 2013 is Enhydro (Enhydrite) Crystal. During the growth phases of a crystal over thousands/millions of years, fluid may become trapped inside the crystal – creating a fluid bubble. 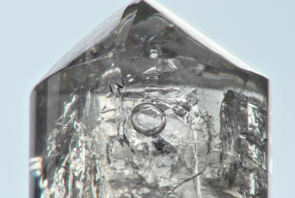 These crystals are often referred to as enhydros. The fluid bubble is made up of the fluid that surrounded the crystal at the time it became trapped, thus if could me a mineralise fluid/water, oil, salty water etc. There is a certain purity to an enhydro crystal, thus as you most probably have guessed crystals containing fluids are ideal healing tools for cleansing the energetic bodies (especially the emotional body), as well as detoxing the physical body. The water element relates to emotions & feelings, thus enhydro’s cleanse and purify our thoughts and emotions, allowing one to speak with truth, wisdom and integrity. Enhydro’s assist in expression/communication of feelings/emotions from a heart level, opening us up to deep levels of Being and receiving Divine Love. The water element also assists in heightening our feeling/intuitive state of being, thus these crystals assist us in healing, counselling, crystal healing, medical intuitive and all psychic endeavours. Enhydro’s are beautiful crystals to support a Crystal Light Healing, or maybe place an enhydro under your pillow or on your beside table during your sleep.. to wash away and transform the energy of day. There is knowledge that you cannot acquire without loss. If you pierce the Enhydro quartz to get the liquid, you destroy the crystal’s uniqueness and power. Trying to get the ancient liquids and their knowledge and power destroys their crystal and mixes them with the mundane. Dig too deeply into the secrets and hidden places of others and you risk damaging yourself, others, and your relationships. Enhydro are mediation stones of acceptance and unquestioned love. They relieve doubt, restore faith, provide self-confidence and bring peace and loving acceptance to relationships plagued by doubt, distrust, and worry. The Crystal of the Day for Saturday 21 September 2013 is Rhodochrosite. Pink Rhodochrosite is a strong stone to aid emotional healing. It encourages you to feel love for yourself and its energy will assist you in meditation, to reach a state of joy and sublime happiness. Its energy may stimulate your inner child and bring a deep childlike happiness and joy into your life. It aids you to bring deep forgotten memories to the surface for healing. 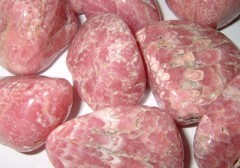 Rhodochrosite is a powerful heart chakra stone and like most heart chakra stones vibrates with the energy of love. 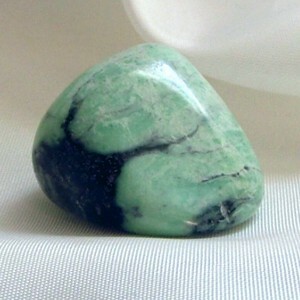 This interesting looking stone has a strong heart based energy and is an excellent stone to support and heal the emotions. In this pink crystal, the love energy is directed towards your own self. 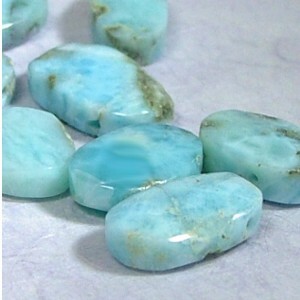 It is a particularly active stone energetically, to heal you, if you don’t have a good opinion of yourself. It also enhances your courage to look at those things that you have been unable to face previously so that you can make changes in your life. It helps to harmonise the male and female elements so if there are too many of either female or male aspects, this energy will help to create a harmonious and balanced personality. For women who have suffered from sexual abuse it is a strong stone to heal you. It encourages you to forgive yourself, and to allow yourself to feel acceptance of your role in what happened to you. While meditating with this stone you may reach a state of sublime happinessand make contact with the golden light which brings through the intense joy that this enables. By using Pink Rhodochrosite in meditation at the solar plexus, it may help you to clear traumatic inner child emotional problems or even those that originate in a past life. The vibration of this lovely stone works both within the solar plexus chakra and the heart chakra to help you to clear negative emotional energy that have been trapped there by things that happened to you. This stone could gently bring up painful memories and it will help you to face them, even if they are difficult to believe. Once you have cleared these issues, you may find that your creativity may be enhanced as you allow your potential to blossom. The Crystal of the Day for Friday 20 September 2013 is the Barnacle Crystal, as it corresponds with today’s Planet, Venus. Barnacle crystals are recognised as crystals covered or partially covered with smaller crystals. A Barnacle Quartz crystal is described as “The random outside attachment of several to many smaller crystals to the host.” That is, barnacles are smaller crystals covering some part of a larger one. These are also called Fairy Dust crystals.The larger crystal is the “old soul” and contains the wisdom and trust which attracts the smaller crystals. When you are trying to separate your own spirit from its relationship with others, and get in touch with your real spirit, use a Barnacle to aid in your efforts of self-knowledge and usefulness. 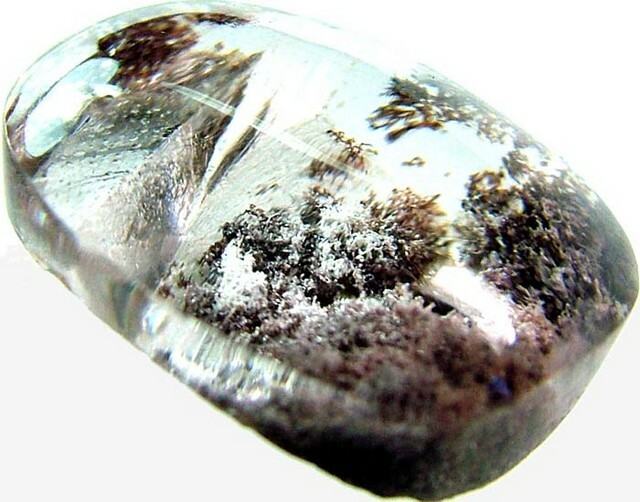 When you use the crystal, think of the barnacles on it as the things and relationships you have added to your life. Note they are not the main crystal, just as you are not the things you have added to your life. Keep a Barnacle Crystal near to you. Let it constantly remind you keep a perspective on your relationships. It will help you learn to see yourself separately from your things and relationships. A Barnacle is a good crystal to use in the beginning of a meditation session. It will help you find yourself – the first step in finding your future. This crystal can be used in meditation to provide insights to family and/or community problems. The barnacle crystal is also excellent for those employed by service organisations [e.g., teachers, etc. ]; the energy helps to stimulate a group cohesiveness and a willingness to work together. The crystal is a wonderful companion when one is experiencing the loss of a loved one. It can also be used to increase both physical and intellectual fertility.